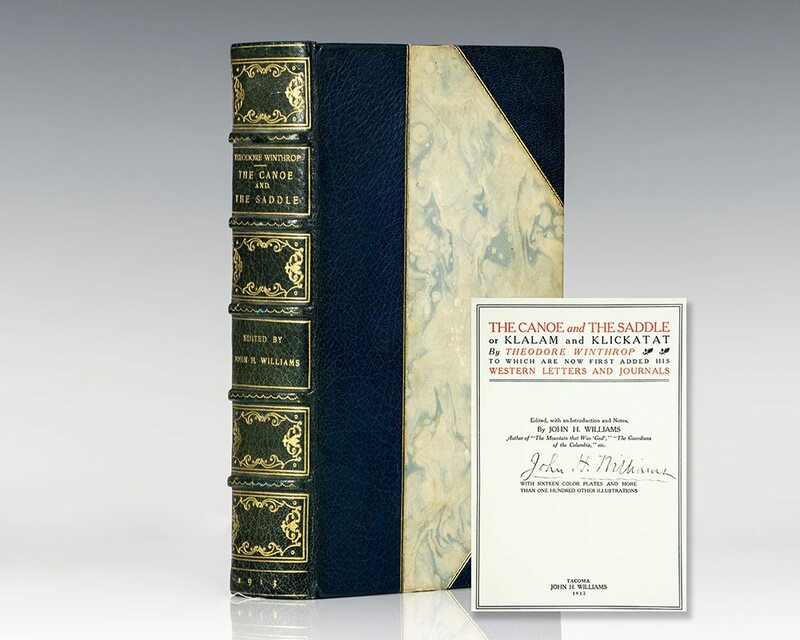 The Canoe and the Saddle or Klalan and Klickatat to Which Are Now First Added His Western Letters And Journals. 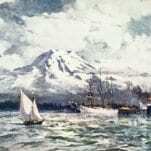 Tacoma: John H. Williams, 1913. 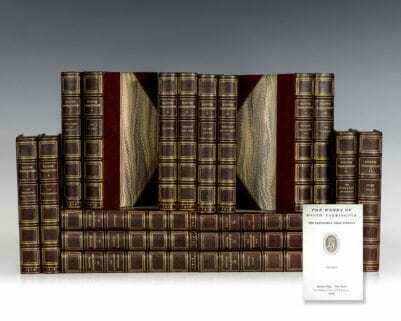 Octavo, bound in three quarters morocco over cloth, gilt titles and tooling to the spine, gilt topstain, marbled endpapers, frontispiece. 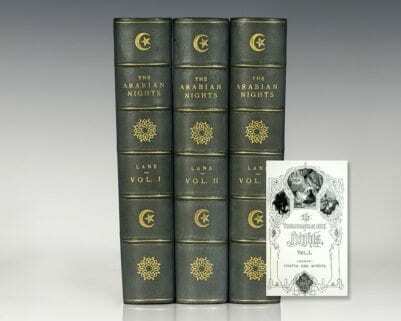 With sixteen color plates and more than one hundred other illustrations. 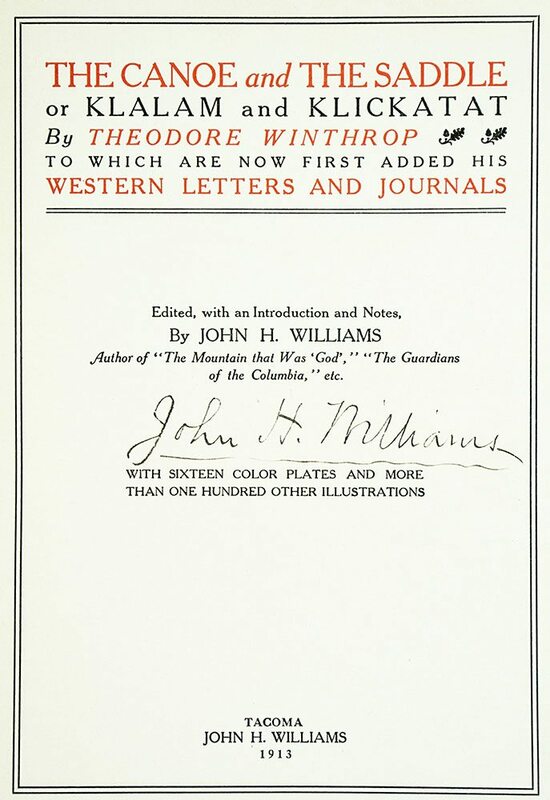 Signed by John H. Williams on the title page. 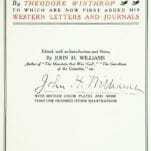 Edited, with an Introduction and Notes by John H. Williams. In near fine condition. Conflicting themes of nature and evolving civilization are weaved throughout the novel, highlighting the tumultuous relationship between Winthrop and the Native American people he interacted with. 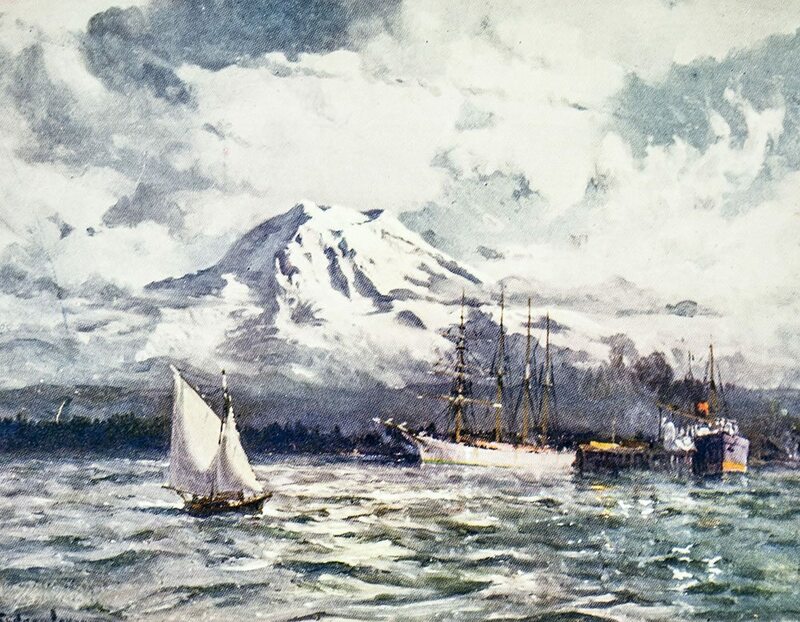 The adventure memoir earned Williams great popularity due to his elaborate descriptions of the lush Pacific Northwest, specifically the state of Washington. 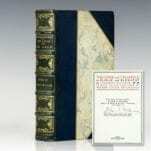 It became a best seller when it was published shortly after the author's untimely death in the Civil War.